SAP Sybase Advantage Database Server offers a growth path for embedded database applications, enabling the applications to use enterprise-caliber feature sets. Developers using Advantage SAP Sybase Database Server have the flexibility to use multiple platforms and multiple development languages, including clipper development, with native drivers(Download Advantage Crystal Reports Driver Now). Little or no maintenance is required. Start with the database management system free trial today. Accesso Flessibile ai Dati -SAP Sybase Advantage Database Server provides data access via native relational SQL or direct navigational commands. Ottimizzato – The management system offers optimized data access for Delphi, Visual Studio, Visual Objects, Visual Basic and more. Facile da Gestire -Zero administration is needed, as Advantage Database Server is easy to install and manage–no database administrator required. 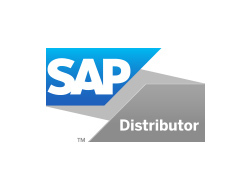 Supporta l’integrità referenziale – SAP Sybase Advantage Database Server provides complete referential integrity support, including primary/foreign key definition and cascaded updates and deletes. Evita che il Database si corrompa – Server-based transaction processing eliminates database corruption. Sicurezza dei Dati – The system offers complete security and encryption support for databases. 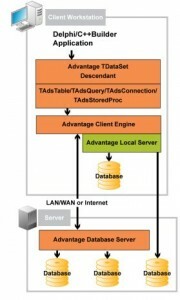 Altamente Scalabile – Advantage Database Server is fully scalable from local to peer-to-peer to client-server environments-with one set of source code. 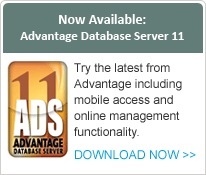 Advantage Database Server 10.10.0.49 Aggiornamento che comprende il supporto per Delphi XE 4. Advantage Database Server 11.10.0.10 Aggiornamento che comprende il supporto per Delphi XE 4.
everal security enhancements were implemented to improve checks of incoming packet data, prevent DLL injection attacks, perform buffer validation, etc. Enhancement has been made in the SQL engine to reduce recursion in expression parsing and evaluation. The changes greatly expand the size of the expressions that the SQL engine can evaluate without causing the “recursion depth error”, and improve the speed of evaluating some large SQL expressions. • Fixed a bug in the JDBC driver that caused incorrect character data to be returned when the JVM is configured to use a default charset (e.g., file.encoding=UTF-8) that is different from the server’s ANSI encoding. • Resolved an issue that led to Delphi XE2 and XE3 packages being incorrectly marked as “always build”. • Fixed an issue that led to an “Unable to find the component class ‘TAdsStringField’..” error in Lazarus.